Artist jeweller Fabergé was founded in 1842 becoming one of the most revered name in jewellery ever since Peter Carl Fabergé became official goldsmith to the Russian Imperial Court. Today, Fabergé takes inspiration from its storied past to create original pieces, not only jewellery but also objets d’art and timepieces. 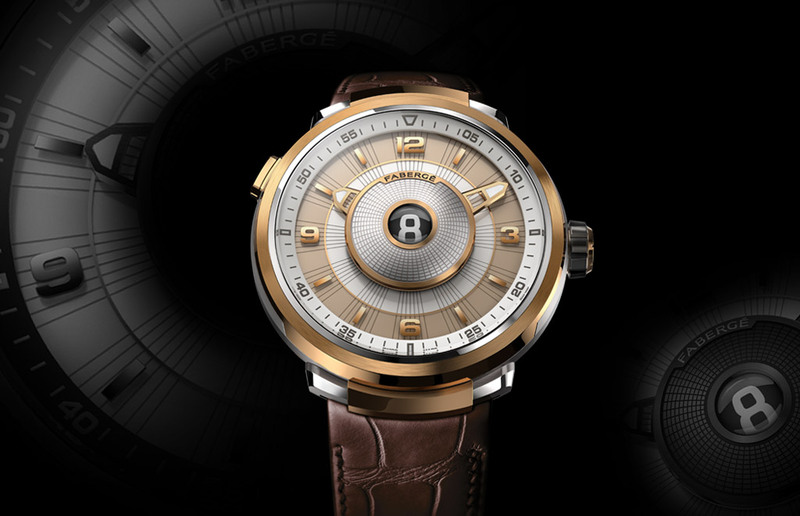 Presented at Baselword 2016, the new Fabergé Visionnaire DTZ comes in two configurations: in rose gold and titanium or in white gold and black DLC titanium. The case, with its complex lugs construction, measures 43 mm and features a domed AR-coated sapphire crystal which protects a multi-layered dial in white-treated opaline with gilded hands or black-treated opaline with black-treated German silver hands. 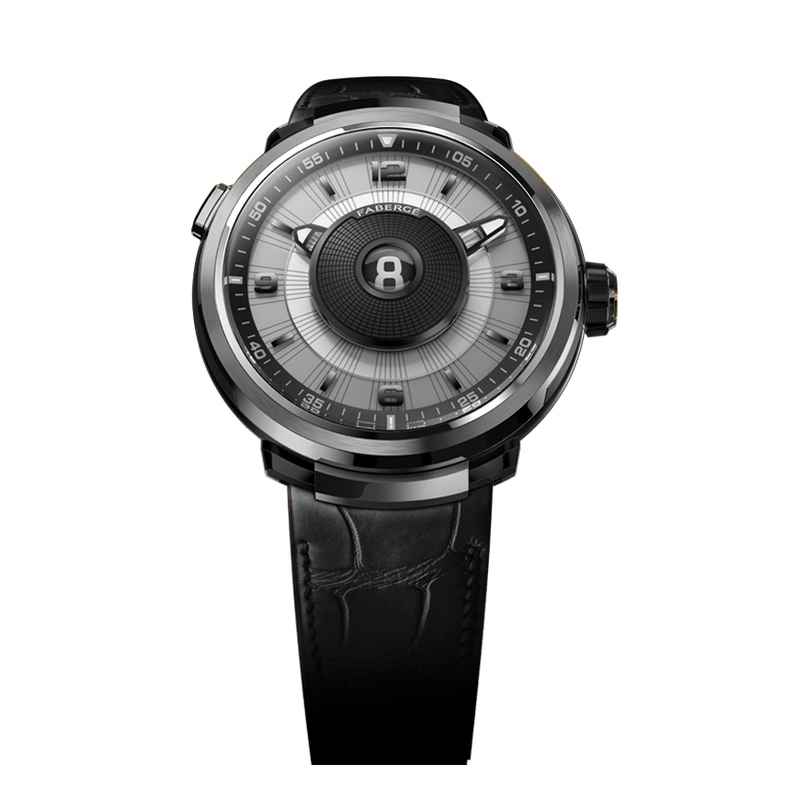 The hands and the 15-minute indicators are coated with luminescent material. Fabergé's historic legacy is somehow evoked by the decorative motif radiating from the centre of the dial. 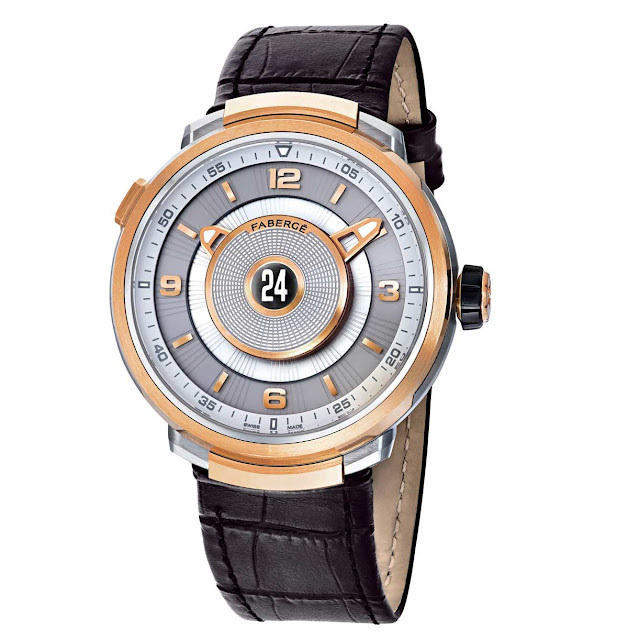 The Visionnaire DTZ displays hours and minutes as well as a second timezone on the central digital display where the current hour numeral is optically amplified by a magnifying element. No AM/PM indication is needed thanks to the use of a use of a 24-hour disc. Fabergé Visionnaire DTZ. Artist jeweller Fabergé was founded in 1842 becoming one of the most revered name in jewelry ever since Peter Carl Fabergé became official goldsmith to the Russian Imperial Court. Presented at Baselword 2016, the new Fabergé Visionnaire DTZ comes in two configurations: in rose gold and titanium or in white gold and black DLC titanium. Price on request.